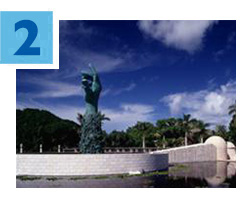 Are you ready to help the Greater Miami Jewish Federation raise money for Jews around the world? Are you in search of a family-friendly “Sunday Funday” that will also help benefit our local Jewish community? 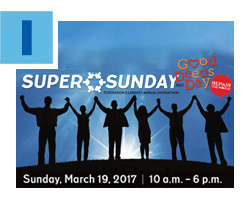 Then meet your friends and neighbors at Super Sunday, this Sunday, March 19, at Federation for a day of good deeds and fun-filled service projects. Click here for more information. We hope to see you there! Never Again Is Now! Mark your calendar to join Federation and other organizations on Yom HaShoah – Holocaust Remembrance Day – Sunday, April 23 for an Interfaith Community Gathering in Response to the Rise in Anti-Semitism and Hate. We will meet at the Holocaust Memorial Miami Beach to remember those who perished in the Shoah, honor those who survived, and stand in solidarity against the rise of anti-Semitism and hate against Jews and other minorities. For more information, contact the Jewish Community Relations Council at 786.866.8486. Last week, Federation’s Attorneys’ Division hosted the 33rd Annual Judicial Reception at Jungle Island. Hundreds of legal professionals attended the event, which recognized two outstanding members of the legal community. Marcia K. Cypen, Esq., received the 2017 Community Service Award for her exemplary work with Legal Services of Greater Miami, and the Honorable Stanley Marcus was presented with the 2017 Honorable Theodore “Ted” Klein Lifetime Achievement Award. Click here to read their heartfelt acceptance remarks. This fall, give your teen the chance to discover Israel through the Alexander Muss High School in Israel (AMHSI). A partner agency of Federation, AMHSI is an accredited, international study abroad, college-prep program, where Israel becomes a living classroom. 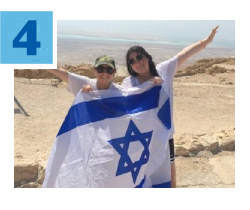 Students explore 4,000 years of Jewish history in chronological order, and are eligible to receive high school credit and college credit from the University of Miami. 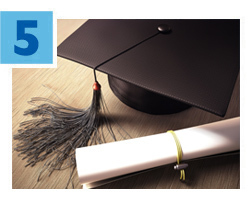 AMHSI is offering a 50 percent discount on tuition for the September eight-week session. For details, contact Alicia Press at apress@amhsi.org or 954.817.7108. Calling all college and graduate students! The Sylvia Tuman Scholarship Program, administered by The Foundation of the Greater Miami Jewish Federation, is now accepting applications to award up to $5,000. Students must be enrolled or accepted into an undergraduate or graduate degree program at a college or university in Miami-Dade or Broward counties. The application deadline is May 31. Click here for more information and to apply.